Cinnamon Sugar Double-Dipped French Toast – Soft brioche bread is first dipped in vanilla batter, then dipped a second time in crispy corn flakes and oatmeal, griddled, and sprinkled with cinnamon sugar and whipped topping. Lemon Strawberry Double-Dipped French Toast – Soft brioche bread is first dipped in vanilla batter, then dipped a second time in crispy corn flakes and oatmeal, griddled, then topped with cool lemonade cream and glazed strawberries. 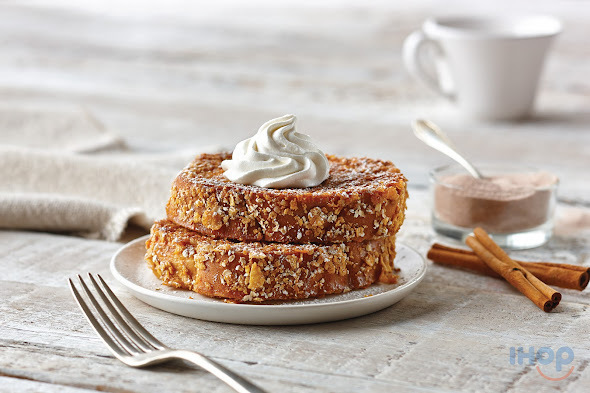 Guests can enjoy two slices of hand-crafted Double-Dipped French Toast as part of a combo with eggs, done the way they like them, their choice of crispy bacon, pork sausage links or a slice of grilled ham, and IHOP restaurants' signature golden hash browns, or stacked high as an entrée of three slices at participating restaurants. 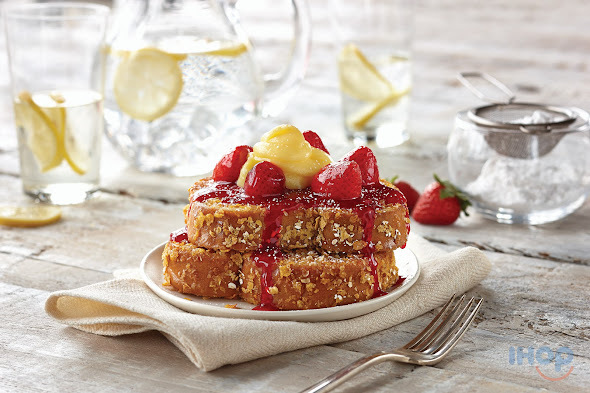 Double Dipped French toast will be available at participating IHOP Restaurants between July 27 and September 20. For over 57 years, International House of Pancakes, LLC has been a leader and expert in all things breakfast and a leader in family dining. The chain is highly competitive in its menu offering, serving 65 different signature, made-to-order breakfast options as well as meals under 600 calories. Beyond offering “everything you love about breakfast,” IHOP® restaurants have a wide selection of popular lunch and dinner items, as well. IHOP restaurants offer guests an affordable, everyday dining experience with warm and friendly service. As of March 31, 2015, there were 1,650 IHOP restaurants in 50 states and the District of Columbia, as well as in Canada, Guatemala, Mexico, Puerto Rico, the United Arab Emirates, Kuwait, the Kingdom of Saudi Arabia, Bahrain, the Philippines and the U.S. Virgin Islands. IHOP restaurants are franchised and operated by Glendale, Calif.-based International House of Pancakes, LLC and its affiliates. International House of Pancakes, LLC is a wholly-owned subsidiary of DineEquity, Inc.
Oh my! IHOP food looks so darn good.I'd definitely try that Lemon Strawberry one.